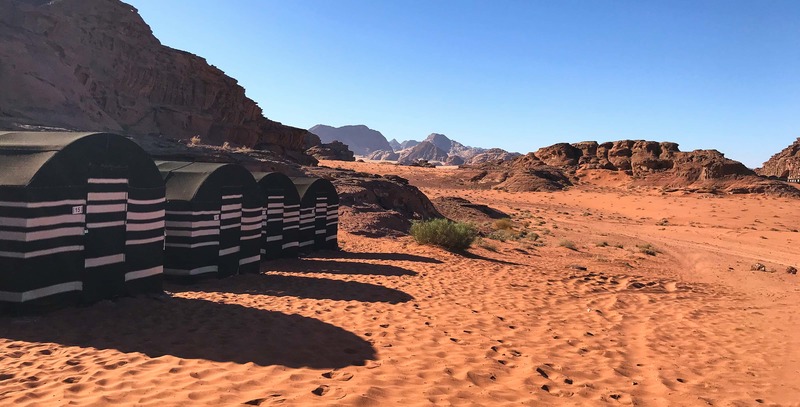 Wadi Rum Starlight Camp is located inside Wadi Rum’s Protected Area, only 11 km from the Wadi Rum Village and surrounded by magnificent sandstone formations. 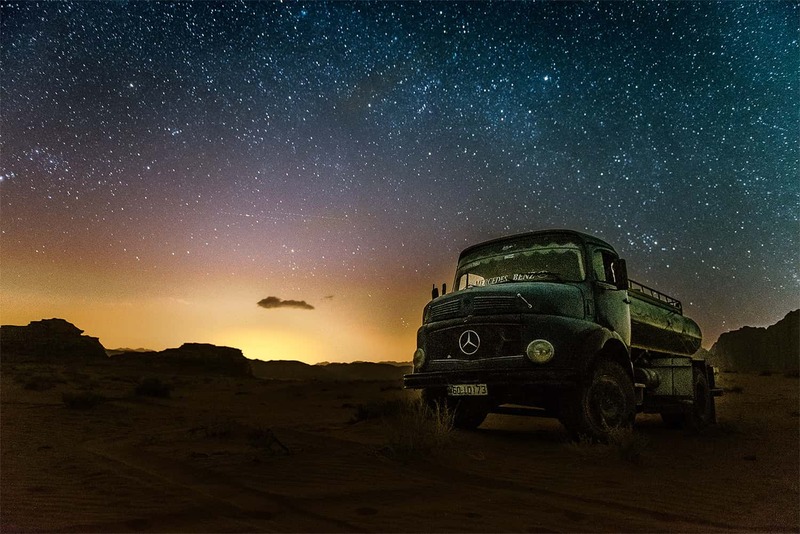 This is the land where Lawrence of Arabia once fought alongside the Bedouins against the Ottoman Empire. 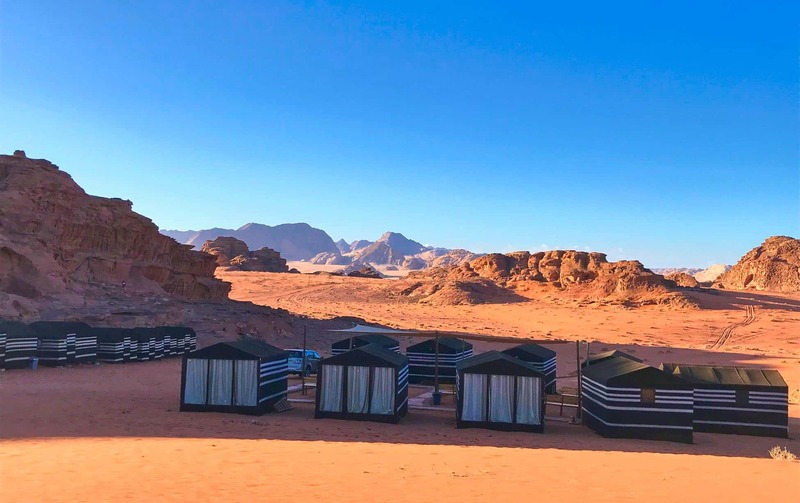 Wadi Rum Starlight Camp is located in one of the best areas of all Wadi Rum, as it lets you enjoy the sunrise and sunset. 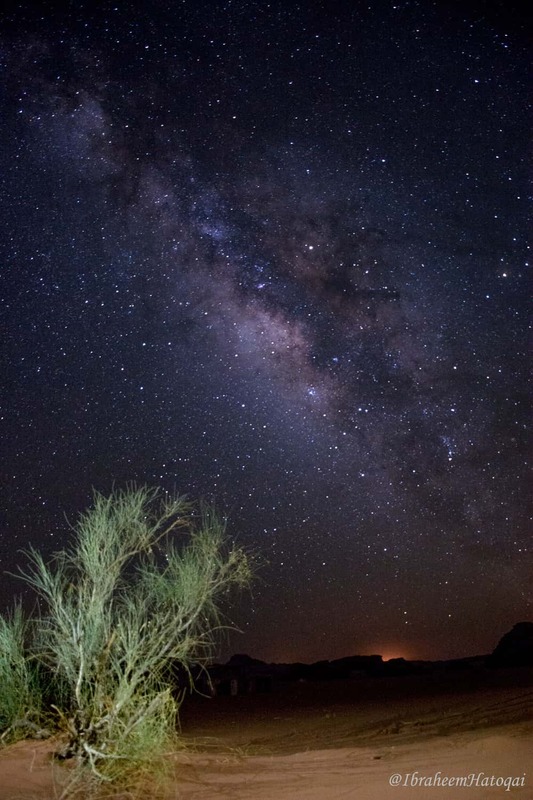 Watch the beautiful stars in the middle of the night in one of the best places in the world. 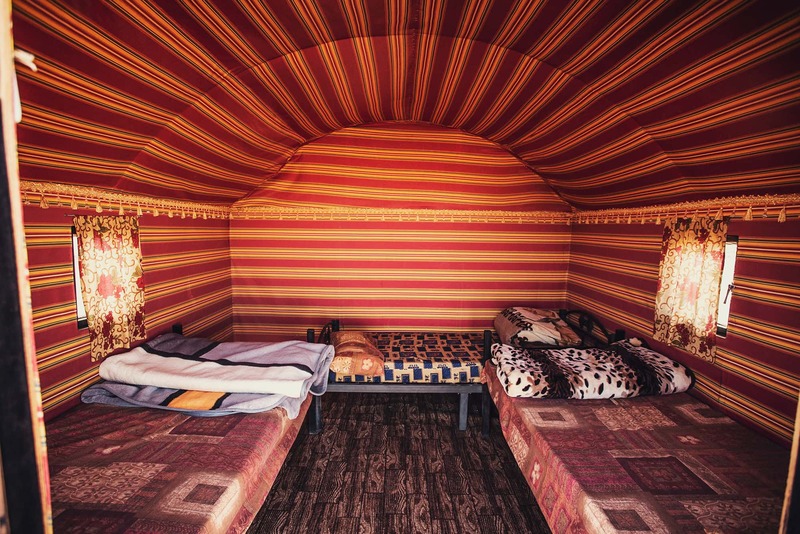 Includes: Dinner, Breakfast & Transportation to the camp. Does not include the cost of any tours. 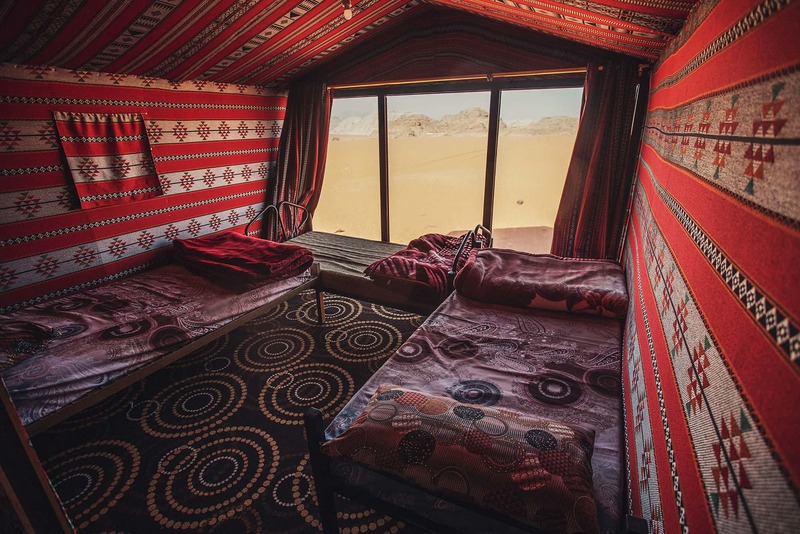 Made with high quality, our goat-hair tents will provide you with a comfortable night in the desert. 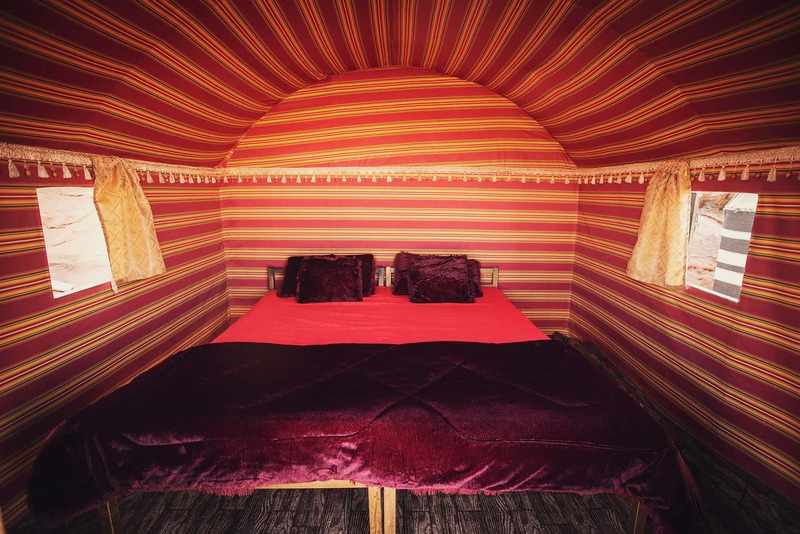 The tents are private and can accommodate many different sized groups. 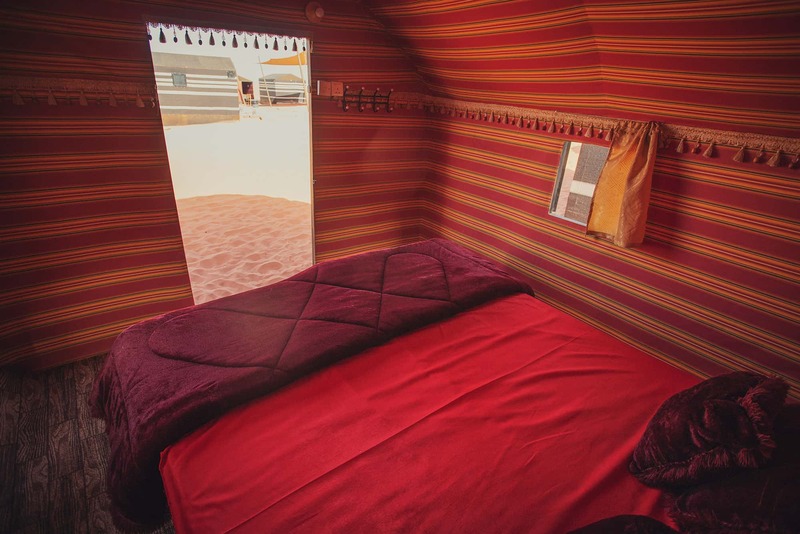 Each individual tent is equipped with its own indoor light so you can move around easily. 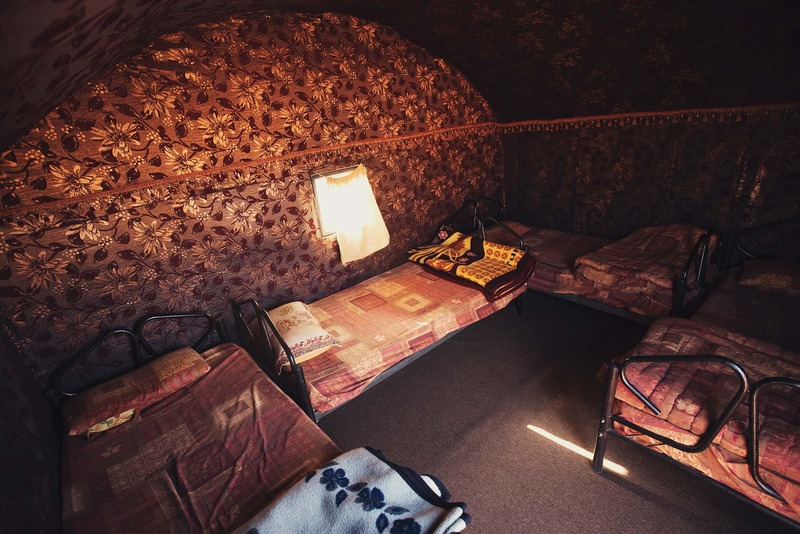 We have double, triple, and family-sized tents, all come with fresh sheets, warm blankets, and towels. 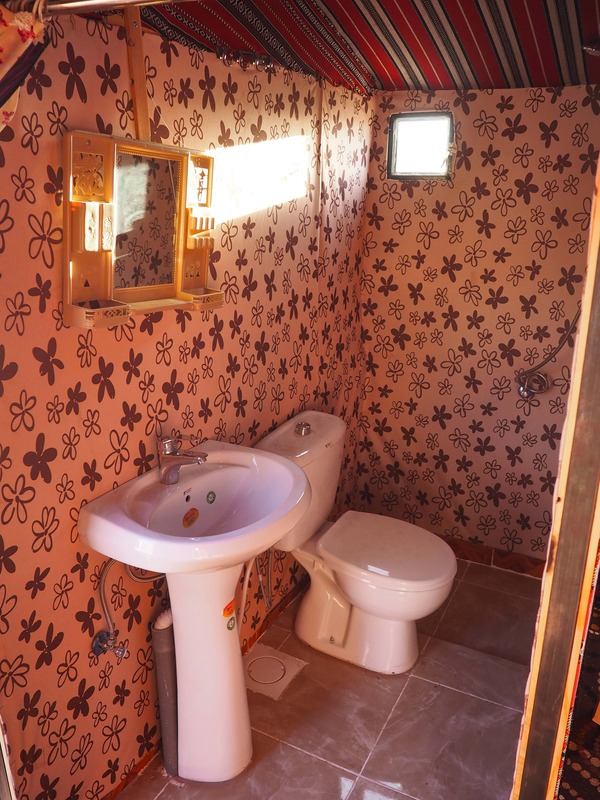 Shared bathrooms with four western toilets and two showers. Take advantage of a nice shower around the clock allowing you to freshen up after a long day. 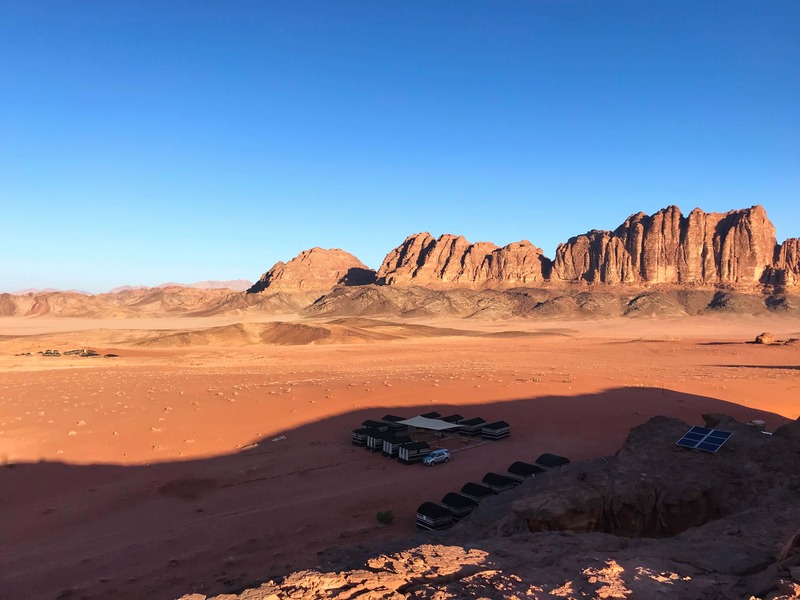 We try to be as environmentally friendly as possible so our camp uses solar panels for electricity in order to minimize our impact on the environment. 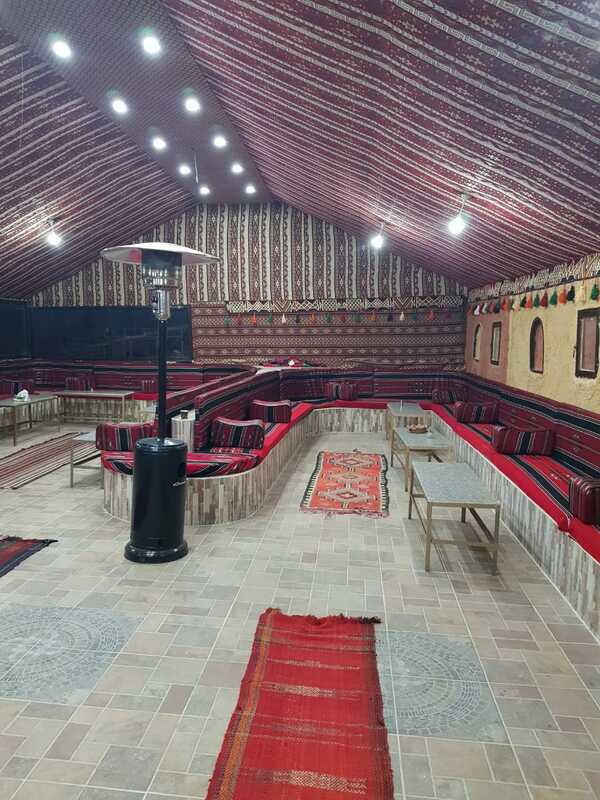 Our guests gather in our big community tent each night to enjoy tea and our local bedouin food. 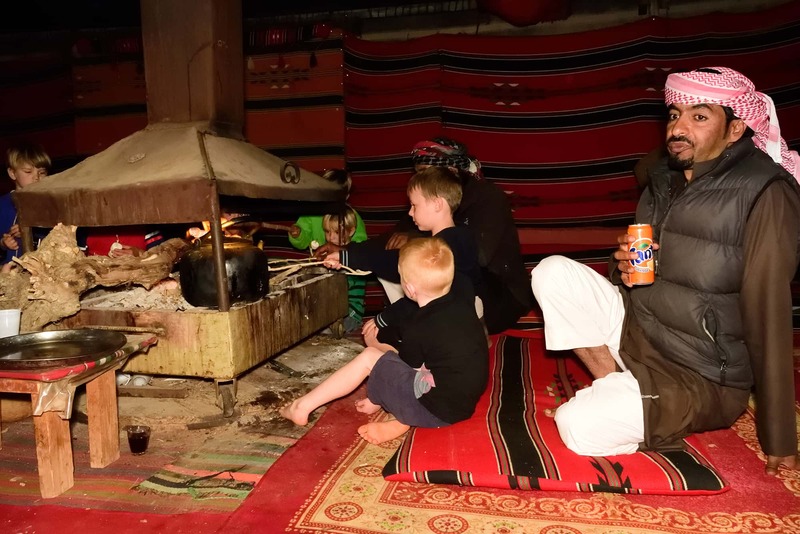 As bedouins, we take great pride in sharing our culture, playing music, etc. 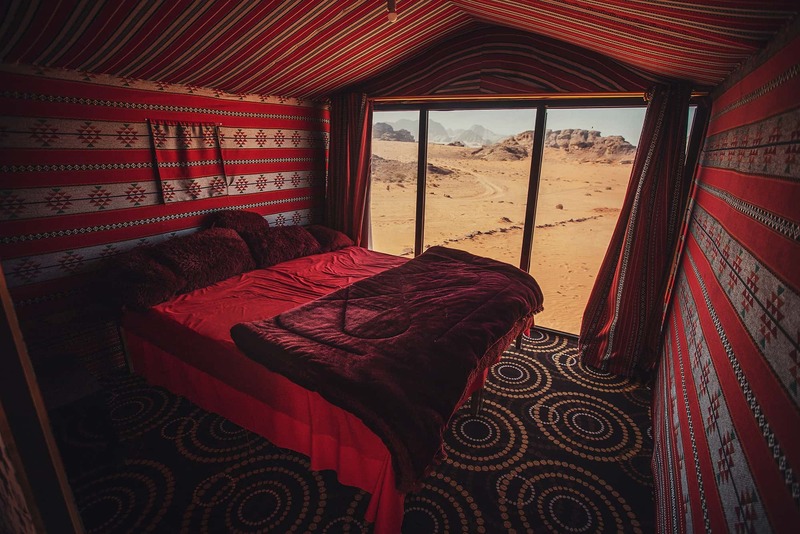 This tent has a fireplace to stay warm at night. Water is available for 1 JD. 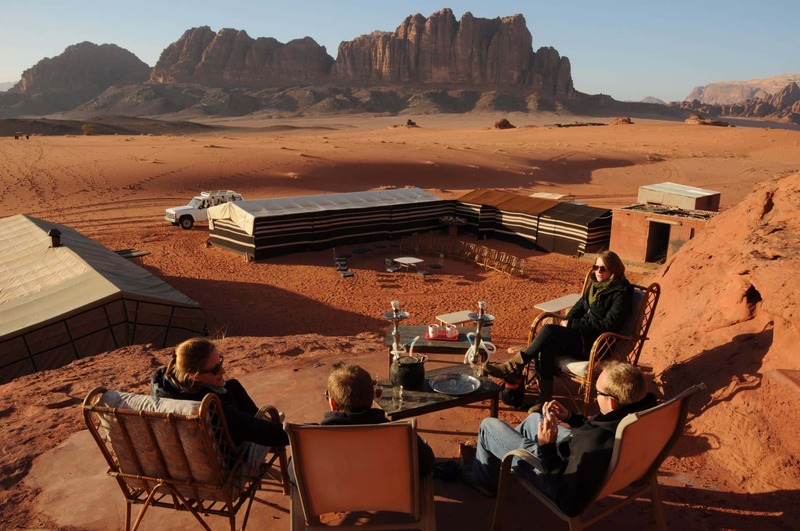 We have a beautiful common area outside to watch the sunset from and enjoy a bedouin tea. 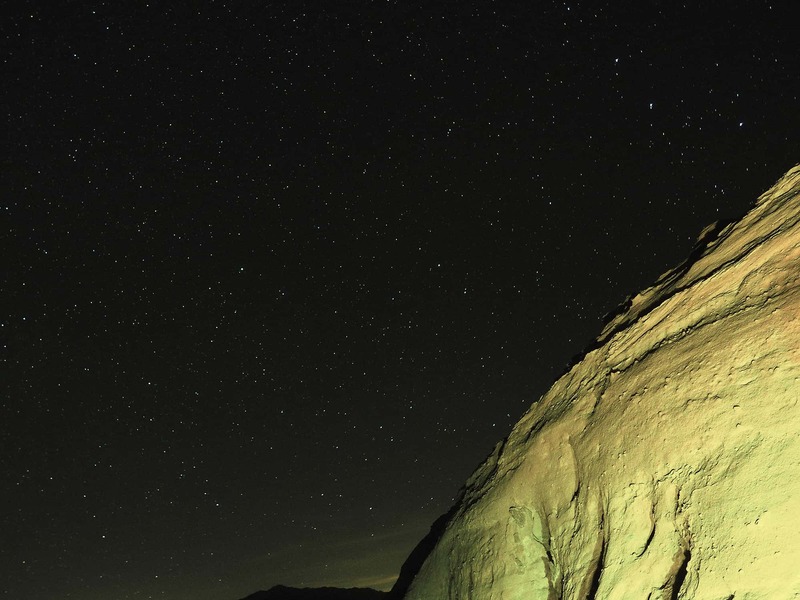 Climb the rock higher to see one of the best views in all of Wadi Rum. 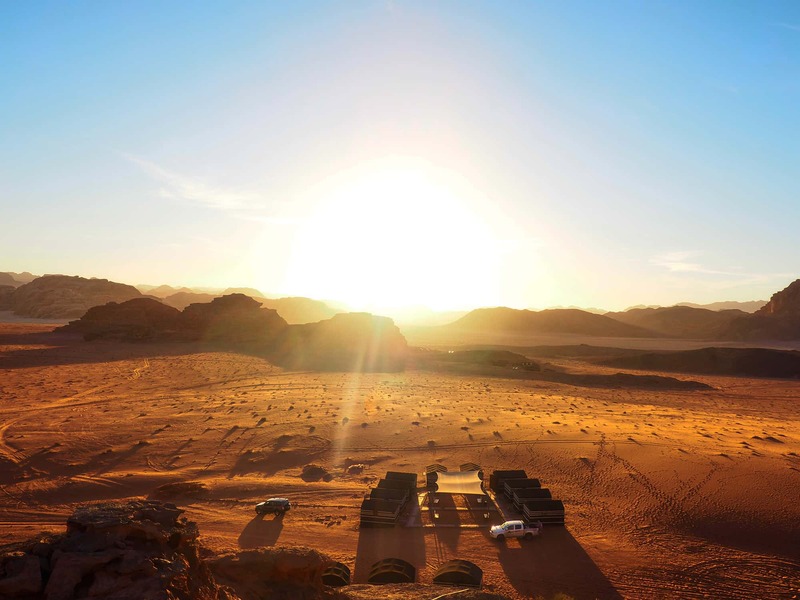 Once the sun goes down, we serve our guests a traditional Bedouin meal. 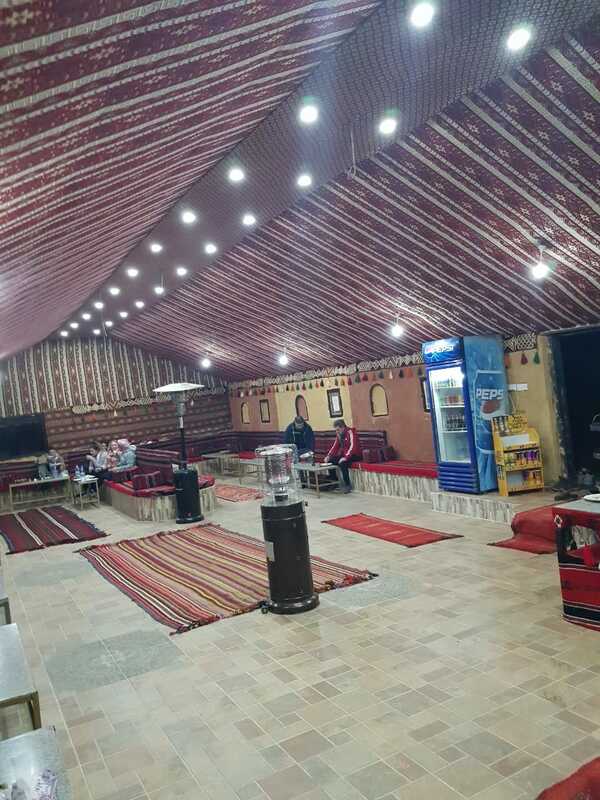 Our meals typically involve a selection of chicken, vegetables, rice, salads and tea. 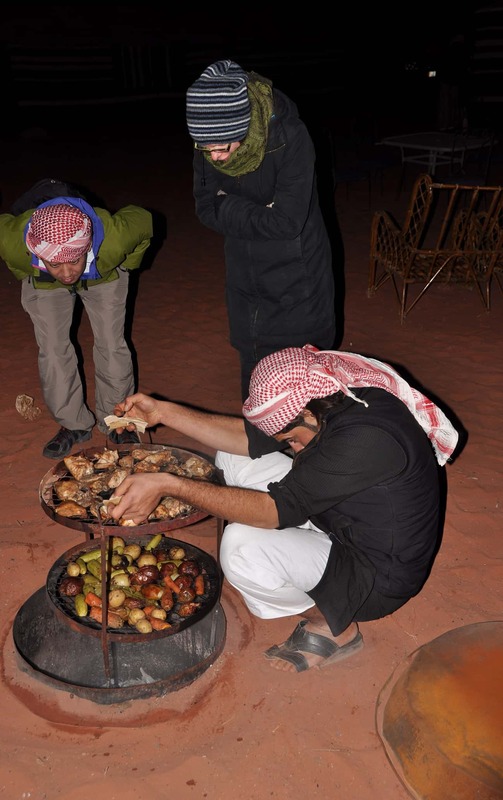 We serve our local traditional dishes for dinner called: Zarb – chicken and vegetables cooked in the ground by traditional Bedouin technique. In addition, mutabel and different kind of salad will be served. Our meals offer a variety of different foods ensuring that there is something for everyone including those who are vegetarian or gluten-free. In the morning, our guests return to the big tent for a continental breakfast composed of local foods. After breakfast, guests move on to start their day.